Besides my activities as a dad, I work as a freelance illustrator and game developer. Feel free to contact me if you have suggestions for improvement or your child have any motive wishes for the playground. 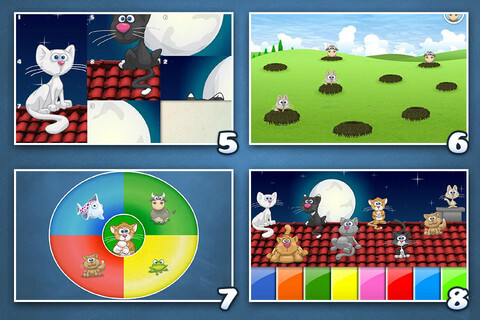 Together with my two children (4 + 2 years) we developed an App that contains their current favorite games. We have tried to make all games as clear and simple as possible. We have also tried to optimize those things we disliked in other games. Even the most beautiful game becomes boring sometime. The following search for “another game” somewhere on the iPad always was quite nerve-wracking and frustrating for my kids (and me). Fortunately this is past. All games are clearly structured on the title screen so your children can quickly change the game without getting lost in the vastness of the iPad. The Playground apps by Jan Essig were a huge hit at the AOTA conference- the obvious reason being they are just plain fun! The good news is the apps also sneak in a lot of fine motor and visual motor practice. I can’t decide which of the Playground apps is my favorite- in fact my only complaint is I would love to see a “Mega” Playground app containing Volumes 1, 2, and 3! This volume has 12 activities. 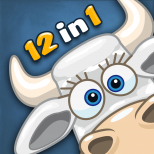 One favorite is the “Whack a Mole” type activity where you must tap the cow as it jumps out of the hole. The challenge will increase too, and you will have to discriminate between diffferent animals. Another favorite is the “Hide the Pearl” activity- a pearl is placed in one of three shells; you must watch the shell it is placed in carefully as they move around. There are also fine motor activities like letter and word tracing/writing, puzzles, coloring, musical fun and more. Another plus to the Playground apps is that they are multilingual- choose from 15 different languages! There are helpful child-friendly settings as well- you must press and hold the settings button for three seconds to make any changes, or access social media links. Another really thoughtful feature is the built in timer- you can actually limit how long your child plays. 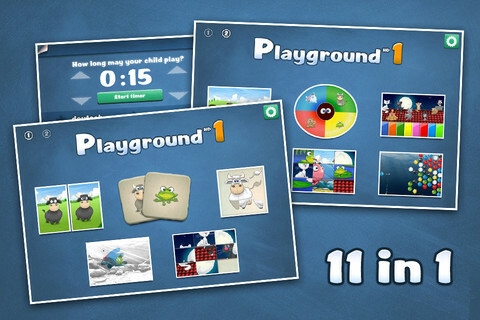 App: Playground 1 – Best of Edition. 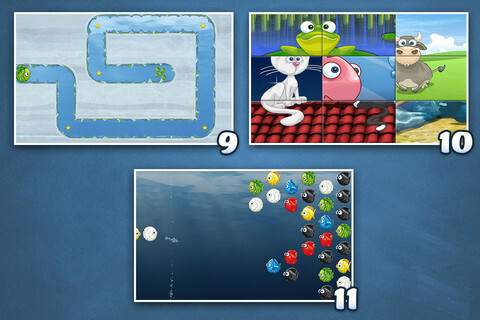 12 games for kids in 1 App.